Violent extremism fractures communities, fosters division, and exacerbates political conflicts. It knows no religious, national, or ethnic boundaries. Violent extremist movements continue to fuel the world’s most violent wars in Africa and the Middle East, and right-wing ethno-nationalist extremism in Europe and the United States has spawned homegrown terrorist networks and fueled the rise of Islamophobia. Extremists increasingly use internet technology and sophisticated communication and marketing campaigns to radicalize and recruit young people. U.S. security institutions estimate that as many as 46,500 citizens from 100 countries have joined Daesh (or Isis) in Syria and Iraq, including more than 3,000 Europeans and 100 Americans. The majority of Westerners who have joined Daesh have very little knowledge of Islam and no prior connection to Syria. Instead, they are in search of personal meaning. Daesh, like all extremist organizations, succeeds by offering marginalized youth an outlet for their grievances, hopes, and dreams. To understand how these youth are radicalized, it is necessary to pay special attention to the rational and emotional appeals used by Daesh for recruitment. To stop the flow of recruits, it is vitally important to not only address root causes but also to engage religious actors who can provide psychosocial support to those vulnerable to recruitment. Addressing the problem of violent extremism requires partnership with religious actors who hold positions of authority and credibility, and who have ties with local communities. The Inclusive Approaches to Preventing Violent Extremism (PVE) project emerged from the Center’s Syria project in 2014. The political vacuum created in the wake of the Syrian Civil War presented an opportunity for violent extremist groups to flourish, resulting in the formation of Daesh. The Center recognized that any sustainable peace process in Syria at the political level had to be complemented by efforts to prevent the rise and spread of Daesh at the grassroots. To this end, the PVE project started with a focus on discrediting Daesh recruitment propaganda through the mobilization of Muslim religious and community leaders. The Center’s approach also aims to have an impact on the dangerous tide of Islamophobia emerging in some countries, which has risen in part because of policies that stigmatize Muslims and a narrow understanding of violent extremism. Islamophobia and Daesh are deeply intertwined, as the two reinforce each other. 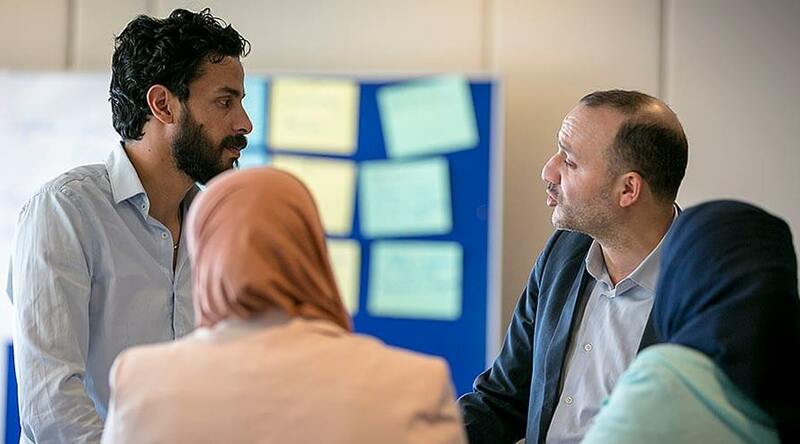 The Center’s Preventing Violent Extremism project consists of two activities: action-oriented research and capacity-building workshops with religious and community leaders. The Center’s PVE work with religious and community leaders is informed by analysis of Daesh’s online and offline recruitment propaganda. To date, researchers have analyzed more than 500 Daesh recruitment videos, using a detailed qualitative and quantitative coding methodology. Our analysis tracks more than 31 variables, including the use of master narrative s, religious texts, language, region, symbols, race, geography, and image composition. The Center has also collected and coded all issues of Daesh’s online English-language recruitment magazines, Dabiq and Rumiyah, and has analyzed online social media in both French and Arabic. Additionally, we have conducted more than 50 structured interviews with religious and community leaders, ex-foreign fighters, the families of Daesh recruits, journalists, and political detainees in North Africa. Building on this deep analysis, the Center has produced analytical reports on a range of topics that deconstruct Daesh’s recruitment propaganda strategies. 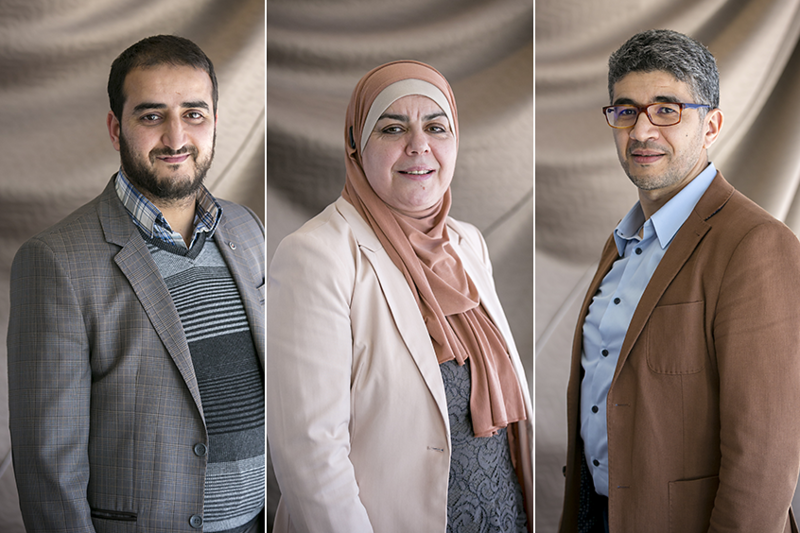 As of March 2017, the Center has convened four capacity-building workshops with religious and community leaders who are on the frontlines of efforts to prevent violent extremism in their local communities. Workshop participants have included leaders from Morocco, Tunisia, France, and Belgium — all countries that have provided large numbers of recruits to Daesh. Participants included women, mainstream and conservative religious leaders, activists, and ex-foreign fighters. They took advantage of training over the course of the year and have designed and launched nearly 60 projects across multiple sectors, including media initiatives, religious outreach, youth engagement, and gender programming. civic engagement and building inclusive communities.